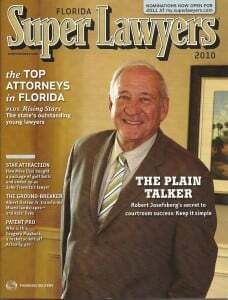 Robert C. Kain, Jr. and Darren Spielman were both honored with the distinction of being SuperLawyers® for 2010. Robert Kain received this distinction as a SuperLawyer® for his work in the field of Intellectual Property Law. For the second straight year, Darren Spielman received the distinction of Super Lawyers Rising Star for his work in the field on Intellectual Property Law. As the SuperLawyers® website explains the selection process for this distinction is not a simple one. 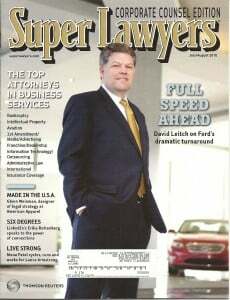 Super Lawyers selects attorneys using a rigorous, multiphase process. Peer nominations and evaluations are combined with third party research. Each candidate is evaluated on 12 indicators of peer recognition and professional achievement. Selections are made on an annual, state-by-state basis. The objective is to create a credible, comprehensive and diverse listing of outstanding attorneys that can be used as a resource for attorneys and consumers searching for legal counsel. Since Super Lawyers is intended to be used as an aid in the selection of a lawyer, we limit the list to attorneys who can be hired and retained by the public, i.e., lawyers in private practice and Legal Aid attorneys. The Super Lawyers selection process involves three basic steps: creation of the candidate pool; evaluation of candidates by the research department; and peer evaluation by practice area. Kain and Associates remains proud of its attorneys accomplishments and looks forward to continued service to its clients and the community.